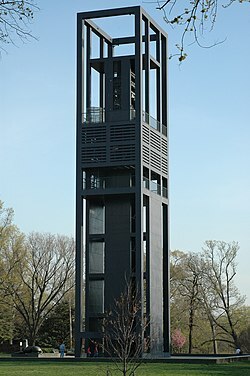 The Netherlands Carillon is a carillon in the Arlington National Cemetery near Washington D.C., United States. The carillon was a gift to the American people for helping the Dutch people during World War II. This page was last changed on 3 March 2016, at 04:03.